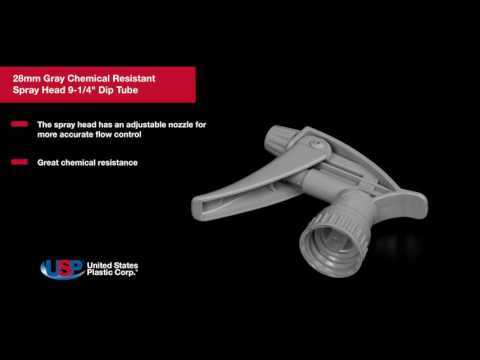 28/400 Gray Chemical Resistant Spray Head 9-1/4" Dip Tube | U.S. Plastic Corp. 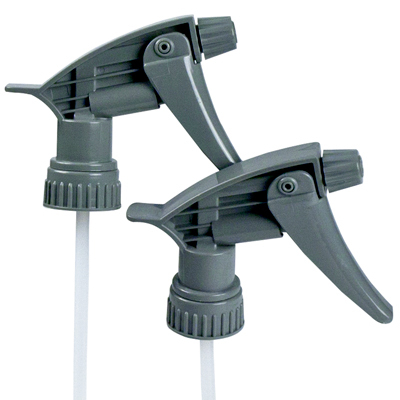 These polypropylene sprayers have a higher output than standard trigger sprayers. Great chemical resistance. Adjustable nozzle to a more accurate flow control. FKM O-ring and piston cup. 1.4ml per stroke. Adjustable nozzle: mist to jet stream. Sprayers are meant only for solvents & degreasers. Bottles sold separately.